Keith Duffy may be best known for being a member of Boyzone, however also featured in the 7th episode of season 1 of Death In Paradise alongside Ben Miller. Other credits to Keith Duffy’s name include Coronation Street, The Clinic and Fair City. 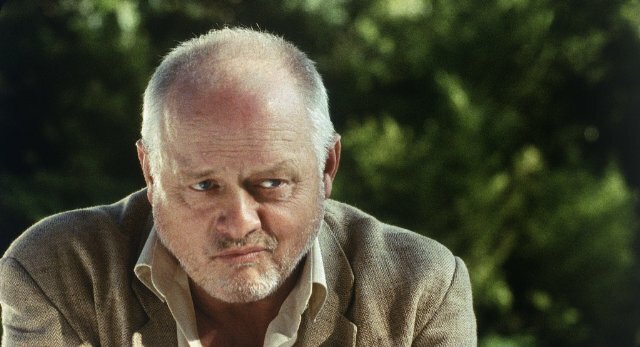 Episode Synopsis: Richard sees the dark side of show business when a comeback concert ends in the most public of murders. If sun, sea and sand were not bad enough, he now has to conquer his fear of snakes to find the elusive killer. 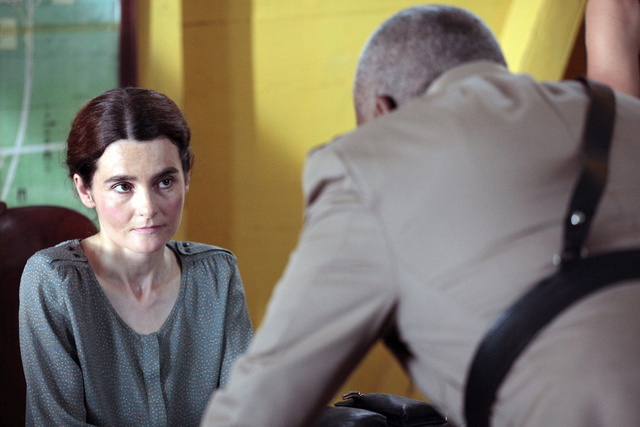 It might be hard to believe that someone could be more persnickety than Ben Millers character DI Poole in Death In Paradise, but then Shirley Henderson entered the arena. 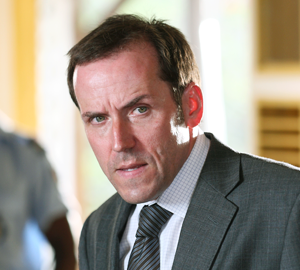 Shirley starred alongside Ben Miller in episode 6 of season 1. Shirley Henderson is also known as ‘Moaning Myrtle’ from The Harry Potter series, as well as being in Trainspotting, Hamish Macbeth, Bridget Jones’s Diary, Doctor Who, Miss Petigrew Lives For A Day & The Crimson Petal and The White. Episode Synopsis: With Richard struck down by a tropical disease and Camille in Paris, it is left to Dwayne and Fidel to solve the apparently impossible murder of a local diver. As if their job isn’t tough enough, they also have to contend with holidaying British cop DS Angela Young, who proves to be even more annoying than Richard. Episode Synopsis: A murder investigation becomes more than personal for Richard when the victim is murdered while handcuffed to him. With his job on the line, he needs all his British rigour and stoutest brogues to get to the heart of the Paradise Beach mystery. Continuing our examination of Death In Paradise guest stars we welcome Miranda Raison to The Bunker. Miranda Raison stars alongside Ben Miller in episode 4 of season 1. Miranda Raison is best known for her portrayal of Jo Portman from Spooks, however has also been seen in Doctor Who, Dirk Gently, Sinbad and Merlin as the classic character Isolde. Episode Synopsis: A confession of murder proves problematic for DI Richard Poole and the team when a wife admits to killing her husband but the body is nowhere to be found. Can Richard solve the mystery? And could his feelings be clouding his judgment? 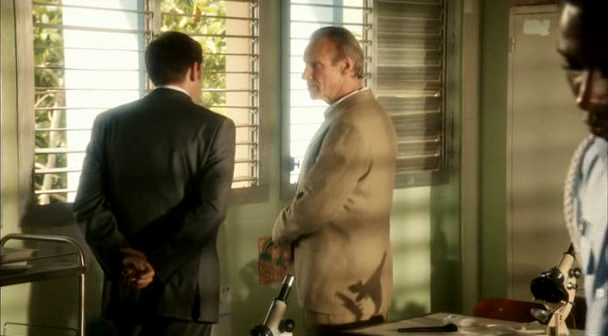 Alongside our favourite Ben Miller in Season 1 Episode 2 of Death In Paradise we saw Nicholas Farrell. Nicholas Farrell has been featured in Chariots of Fire, The Iron Lady, MacGyver, Spooks, Foyle’s War, The Diary of Anne Frank, Torchwood and New Tricks to name but a few. Phew! As much as we love Nicholas Farrel he was no match for Ben Miller in this episode! GO BEN! 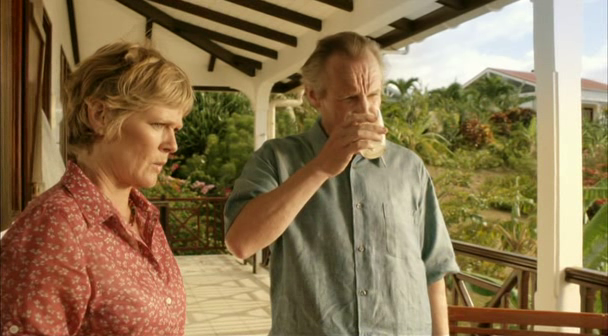 Continuing our examination of guest stars who have worked with Ben Miller on Death In Paradise we now present Robert Pugh. Ahhh Robert, better known to some as Crastor from Game Of Thrones, Robert Pugh has also been seen in Doctor Who (‘The Hungry Earth’ and ‘Cold Blood’), Hustle, Torchwood, Prime Suspect & Silent Witness, and these titles don’t even begin to scratch the surface of what Robert can be seen in. Robert Pugh starred alongside Ben Miller in episode 2 of season 1. Episode Synopsis: As DI Richard Poole desperately searches for a decent cup of tea, a bride is murdered on her wedding day. It is a tragedy DS Camille Bordey cannot help but notice, whilst Richard is more interested in housekeeping signs… But who would kill a bride on her wedding day? Could it really be one of her family?